Cranial Release Technique, Inc. (“CRT, Inc.”) reserves the right to make changes to the scheduling of the seminars and to reschedule sessions if enrollment criteria are not met. In the event of such rescheduling, all participants will be notified by phone and e-mail (provided such contact info has been provided by the participant). Participant requests for a change in a seminar date must be faxed to the CRT at (917) 398-1555 at least four (4) weeks prior to the date of the seminar. Participant requests for a change in a seminar date within the four (4) week date of the seminar, will be charged $1000 which must be paid in full prior to the next attended seminar. There are no refunds. Seminar attendance must be completed within one (1) year from the date of enrollment. 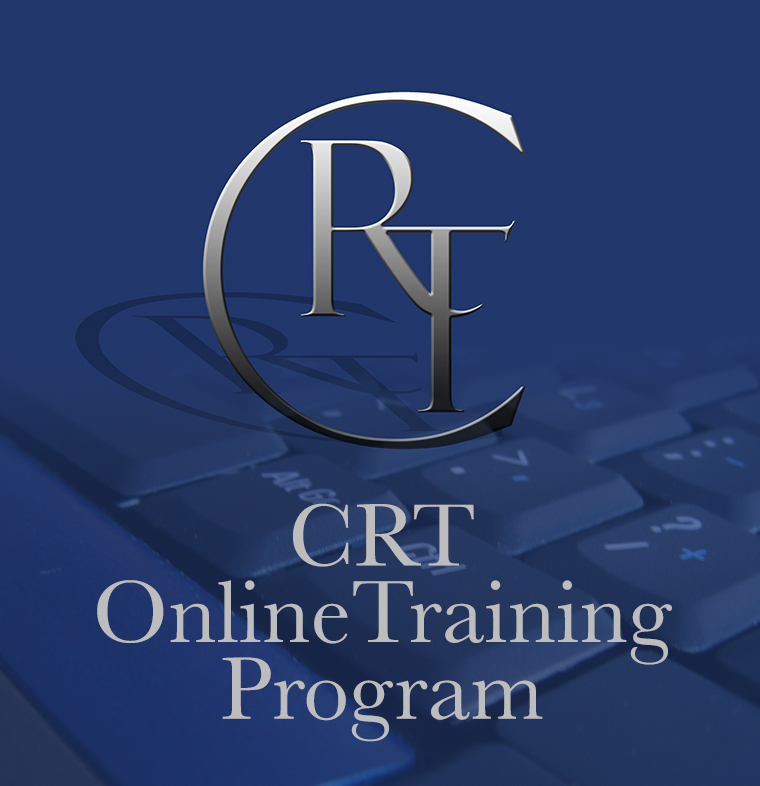 As seating is extremely limited, there is a $595 fee for any practitioner who has registered for CRT Mastery Review Course, Does Not show up and does not notify the CRT in advance. The penalty fee must be paid in full prior to the next attended seminar. Send you information we think you may find useful, including information about new Cranial Release Technique, Inc. products and services. You may be asked, either when you register with us, or at other times, for information about yourself, such as your name, e-mail address, postal address and telephone number. You may also be asked to share with us your interests, hobbies and preferences. In addition, when you order certain goods or services from our Web Sites, we will need to know your credit/payment card number and expiration date. You are under no obligation to provide this information, but if you don’t then we may not be able to provide you with certain services or personalize your experience and tailor our Services for you (for example, tell you about special offers on things you’re interested in). When you visit our Web Sites, we automatically log your IP address (the unique address which identifies your computer on the internet) which is automatically recognized by our web server. We use IP addresses to help us administer our Web Sites and to collect broad demographic information for aggregate use. We do not link IP addresses to personally identifiable information. Cranial Release Technique, Inc. will not share, sell or rent your personal information to third parties. However, we may disclose your personal information to third party suppliers who provide services on our behalf (ie. shipping information for FedEx or UPS or USPS). Cranial Release Technique, Inc. may disclose aggregate statistics about our sales, our Web Site visitors and customers of our telephone services in order to describe our services to prospective partners, advertisers and other reputable third parties and for other lawful purposes, but these statistics will not include personally identifying information. Cranial Release Technique, Inc. may disclose personal information if required to do so by law or if it believes that such action is necessary to protect and defend the rights, property or personal safety of company name and its Web Sites, visitors to the Web Sites and customers of our Services.Our Web Site contains links to the sites of third parties. When you visit these sites, we suggest that you read their privacy policies. Cranial Release Technique, Inc. is not responsible for the privacy policies or the content of such sites. We will only sell or rent your personal information to a third party either as part of a sale of the assets of a Cranial Release Technique, Inc. or having ensured that steps have been taken to ensure that your privacy rights continue to be protected. Cranial Release Technique, Inc. places a great importance on the security of all information associated with our customers. We have security measures in place to attempt to protect against the loss, misuse and alteration of customer data under our control. For example, our security and privacy policies are periodically reviewed and enhanced as necessary and only authorized personnel have access to user information. With regard to our Web Sites, we use secure server software (SSL) to encrypt financial information you input before it is sent to us. While we cannot ensure or guarantee that loss, misuse or alteration of data will not occur, we use our best efforts to prevent this. Information which you submit via our Web Sites or our telephone services is stored on a computer located in North America.